This week, our main boy detectives step aside to let two of the neglected supporting club members take the stage. While the attempt to turn Noro and Yamane into characters might come too late to accomplish its goal in just 23 minutes, this is still a surprisingly welcome change. Trickster‘s core group hasn’t exactly scored a lot of likability points lately, so spending time on something other than Hanasaki moping, Inoue brooding, and Kobayashi wanting to die is almost refreshing. A new case is brought to Yamane’s attention via Inoue’s secret fangirl. We’ve seen her swooning over her crush at several points throughout the story, which he’s very much oblivious to, of course. Seeing her step out of the background and take action to protect him without seeking any credit for it was rather sweet. Human niceness isn’t something Trickster has been brimming with, so small gestures like this go a long way. 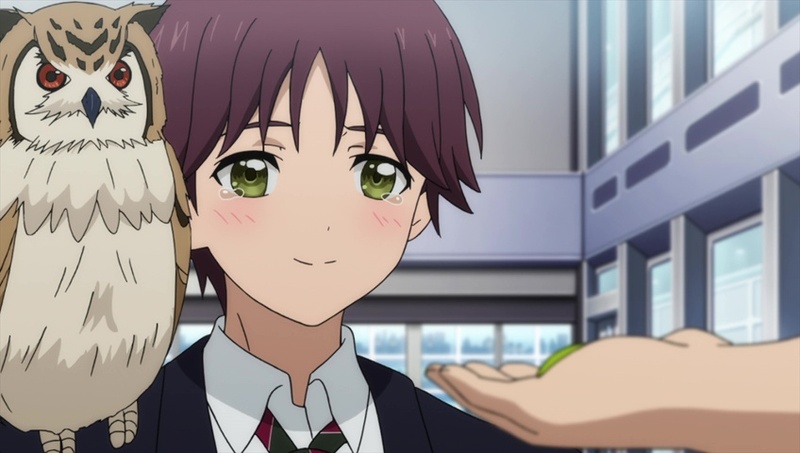 Check out my full review of Trickster, episode 14 over at ANN. It’s the final episode of the show that I’m going to cover for weekly streaming.